Kate Mosse is the author of seven novels, including the bestselling Labyrinth (2005), which was the first in her celebrated Languedoc Trilogy. She is also the founder of the Women’s Prize for Fiction. Mosse’s new novel, The Burning Chambers, is set in sixteenth-century France, during the Wars of Religion, and is the first in a four-part series that will span 300 years and cross continents. Max Liu: What was the spark that got you writing The Burning Chambers? 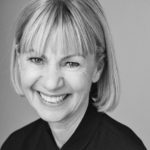 Kate Mosse: A visit some years ago to Franschhoek in South Africa, noticing that all the street signs were in French and that the graveyard was filled with the names of French refugees who’d escaped persecution in Europe in the seventeenth century. Little by little, the idea for a diaspora novel – spanning some 300 years of history and roaming from Languedoc to the Cape – started to take shape. ML: Your previous novel, The Taxidermist’s Daughter (2014), was set in Sussex, where you live. Your new novel returns to southern France, where your Languedoc Trilogy was set. What is the role of place in your fiction? KM: All my fiction is inspired by place, by landscape and by the conviction that any given story can only happen – specifically – in the place and time within which it is set. In Languedoc (and increasingly in Franschhoek, too, now) there is an interplay of history, of the ghosts in the landscape I suppose, and the whispering of stories. I write about the women and men who don’t appear in the history books – the ‘us’ of the past, if you like – and those characters come directly from the landscape: Carcassonne, Toulouse, the garrigue of Languedoc. ML: Having previously written a trilogy, and with The Burning Chambers the first in a new series, what is it about long sequences of books that appeals to you? KM: I have never planned and executed a sequence of novels before (the Languedoc Trilogy was three individual novels that have become grouped together) so planning, writing, revising and publishing The Burning Chambers is a new experience for me. It’s wonderful! There is a luxury in imagining not only the characters that give the novel its wings, but then their children, grandchildren and great-grandchildren; there is a liberty, too, in being able to plot with the arc of history on my side, allowing the relationship of historical research and narrative to find its own balance over many (many!) pages; finally, that bereft feeling when finishing a big novel is missing because the characters – my imaginary friends – are still there, waiting for me to continue to tell their story. ML: Your new novel’s two main protagonists – Minou and Piet – meet across the Catholic/Protestant Huguenot divide in sixteenth-century France. Is there a sense in which they could be lovers from opposing sides in any conflict – Northern Ireland in the 1970s, say, or the Middle East today? KM: Fiction inspired by history must be grounded absolutely and completely in the time in which it is set and with the corresponding attitudes and experiences – you can’t look at the sixteenth century with twenty-first-century eyes. Having said that, the best historical fiction helps us to walk in the footsteps of our ancestors, and though customs, opportunities, lives are of course different and specific (in this case, to Carcassonne and Toulouse of 1562), the human heart doesn’t change so very much. Minou and Piet, falling in love across the religious divide – and seeking to remain themselves, rather than simply as a ‘Catholic girl’ and a ‘Protestant boy’ – could be any lovers, caught up in any period of history. The act of reading a novel is an act of partnership, and readers will bring their own thoughts, their own experiences, to the page, exactly as I do as the writer. ML: After a massacre of 4,000 people, Minou says: ‘So much suffering, such waste and cruelty. And for what?’ Do you want the reader to take from this novel a sense of the futility of all wars? KM: On one level, I don’t think in terms of what the reader might take from the novel beyond the enjoyment of reading. I’m a storyteller not a historian, a spinner of tales rather than an essayist. I want readers to fall in love with the characters, with the story, with the places where the narrative takes them. I want readers to say, ‘I couldn’t put it down!’ But I am interested in the repetitive nature of history, that everything we see now has its counterpart in the past. With The Burning Chambers, France is tipping into a civil war that will tear the country in two. It appears to be a war of faith but, of course, it is really also about power and influence. By the time the exhausted and uneasy peace is signed – in 1598 – millions will have been slaughtered and displaced, society will have been damaged and families torn apart, and for what…? ML: Blanche, who’s a kind of nemesis for Minou, is one of your cruellest characters. But is she perhaps also the most complex character here? To what extent is Blanche a victim as well as an aggressor? KM: I am fond of Blanche, and though her actions are appalling – and she is the agent for much of the terror experienced in Minou’s and her family’s lives – I did want to portray her as a complex, difficult character. She is a victim, too, suffering dreadful abuse as a vulnerable young woman in a very male world. Blanche’s way of coping with this is to take the darkness inside of her and use it to become strong. I don’t approve of her actions, but I understand why she has become the person she is. ML: The least sympathetic, and most manipulative, figure in the book is Vidal, a Catholic priest. How do you feel about organised religion? KM: The Burning Chambers is a story of faith and the consequences of faith, war and the consequences of war. I was clear that I wanted to set my imagined story against the backdrop of religious conflict (as I did in my earlier novel, Labyrinth) to show how the decisions of those in charge – the Church, the Court, the Military – could have catastrophic consequences for ordinary people’s lives. So Vidal is a representative of that, using religion and the hierarchy of the Church to promote his own self-interest. Standing in contrast to that is the faith of ordinary people whose Christianity is personal and private. Blanche herself suddenly realises that Vidal is putting himself above God, in his desire for power and influence, and that terrible realisation is what propels the final scenes of the novel. ML: Have you started work on the second book in the sequence? When can we expect it to appear? KM: Yes! Like The Burning Chambers, the Prologue to Book II is set in Franschhoek (and appears at the back of Book I), then the story proper is rooted in Puivert, Paris, Amsterdam and London. The City of Tears begins on the eve of the most notorious event of the Wars of Religion, the St Bartholomew’s Day Massacre. On the night of 23/24 August 1572, thousands of Huguenots (and most of the Protestant leadership) were murdered in Paris. It marked a turning point in the character and nature of the Wars. It will come out in May 2020 (and books III and IV in May 2022 and 2024). Kate Mosse’s new novel, The Burning Chambers, is published by Mantle Books. Kate Mosse is an international bestselling author with sales of more than five million copies in 38 languages. Her fiction includes the novels Labyrinth (2005), Sepulchre (2007), The Winter Ghosts (2009), Citadel (2012), The Taxidermist's Daughter (2014), and The Burning Chambers (2018), as well as an acclaimed collection of short stories, The Mistletoe Bride & Other Haunting Tales (2013). She is the Co-Founder and Chair of the Board of the Women’s Prize for Fiction and in June 2013, was awarded an OBE in the Queen’s Birthday Honours List for services to literature (photo by Ruth Crafer). Max Liu is a freelance journalist. 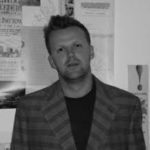 He writes for the Guardian, Financial Times and the i newspaper, and is currently working on 'The Best Man', a memoir about friendship. He hosts Reading and Resistance, a literary salon at Waterstones Gower Street where writers discuss the relationship between art and politics. Who are today's Londoners? And the city's invisibles? A writer delves beneath the surface to find a new demographic. A musician and author considers the challenges of conveying sound by words on the page. A generation of writers and illustrators are attempting to define the nation in a whole new way.